Justin Sullivan/Getty ImagesFacebook founder and CEO Mark Zuckerberg speaks during the 2013 TechCrunch Disrupt conference on September 11, 2013 in San Francisco, California. 50 million users’ personal data was misappropriated by a political research firm without their knowledge or consent. If Facebook wants users to take its response seriously, it should try expressing more contrition. Mark Zuckerberg has finally broken his silence on the Cambridge Analytica scandal – but he isn’t saying sorry. 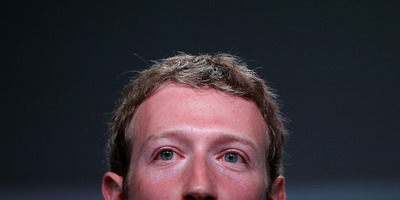 The Facebook CEO has published a lengthy post on his Facebook profile admitting his company “made mistakes,” and pledging to “secure our platform.” But at no point did he actually apologise to the tens of millions of users whose personal data was harvested without their knowledge. To recap: The current firestorm facing Facebook centres around Cambridge Analytica, a political research company used by the Trump campaign (among others). It all began in 2013, when a researcher got 270,000 users to install a personality quiz app. That app scraped up not only the users’ personal data, but also that of all of their Facebook friends. That data was subsequently acquired by SCL, the parent company of Cambridge Analytica. This data trawling, while ethically dubious, wasn’t against Facebook’s terms of service at the time – it took until 2014 for Facebook to put new rules into place forbidding this behaviour. The part that actually constituted a violation of Facebook’s rules was the sale of the data. It took until last Friday for Facebook to ban Cambridge Analytica, as the Guardian and the New York Times prepared to publish investigations into the company. The entire incident has been a public relations nightmare for Facebook: Its stock has dipped about 10% since Friday, but Zuckerberg never made any kind of statement or public appearance on the matter. On Wednesday, the 33-year-old exec finally addressed the crisis – without giving a full apology for how it handled the matter. He gives the appearance of owning the company’s “mistakes,” but never actually says sorry for them. Similarly, he describes the matter as a “breach of trust,” but never goes any further. The company has outlined a number of steps it is taking, including auditing apps that historically had large amounts of data, limiting apps’ access, and providing tools for users to better understand where their personal information is being used. And it also plans to notify the 50 million users whose data was obtained by Cambridge Analytica – though only years after the fact. But if Facebook really wants to regain users’ trust after the scandal, it could start by expressing some genuine contrition.